April 14 was Citizen Science Day. 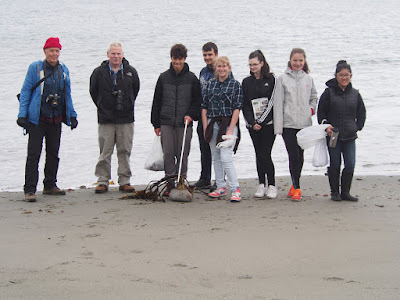 It was a day to celebrate all things citizen science, and this year, we at the Port Townsend Marine Science Center decided to celebrate with an iNaturalist BioBlitz at Fort Worden State Park. iNaturalist is a social network for naturalists, a crowdsourced species identification system and an organism occurrence recording tool. 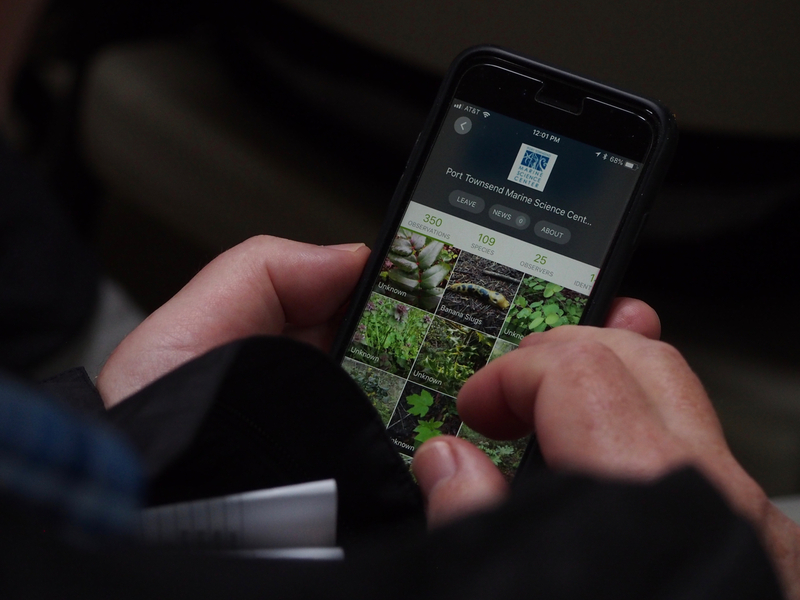 It is a great application that can be used for citizen science projects, to generate species guides, and to help people learn more about -- and connect to -- the natural life they encounter every day. A BioBlitz is an intensive 24-hour study of biodiversity in a specific location. 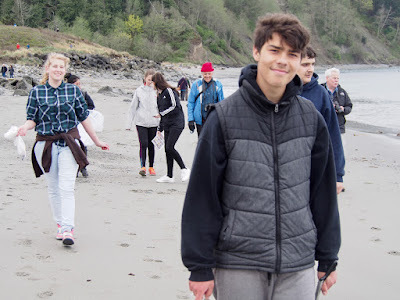 On Citizen Science Day, we spent the day outside around Fort Worden State Park looking for and recording birds, mammals, fish, invertebrates, trees, flowers, grasses and more. We invited the community to come join us, and about 40 people showed up to the event. For folks that couldn’t make it out in person, we also needed help identifying the species we observed. So far, 65 people have helped us identify our species online on iNaturalist. We have made 713 observations including 178 different species. The species number will continue to change as additional IDs are made. 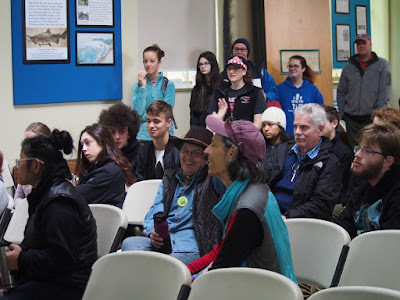 As the event organizer, one of my goals for the event was engaging new people who may not have an interest or the time to be involved in our ongoing citizen science projects. With this in mind, I reached out to a few high school groups. 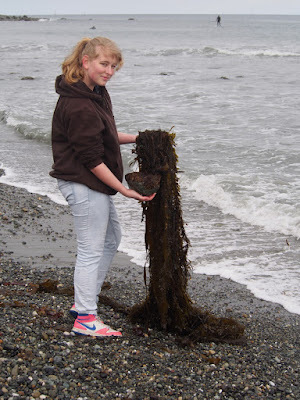 Brandi Hageman, a science teacher at Port Townsend High School, encouraged her students to participate in our BioBlitz and 26 of those students ended up attending. I was very pleased with this turn out because I hadn’t yet had the opportunity to engage high school students in citizen science during my time as the AmeriCorps Citizen Science Educator. 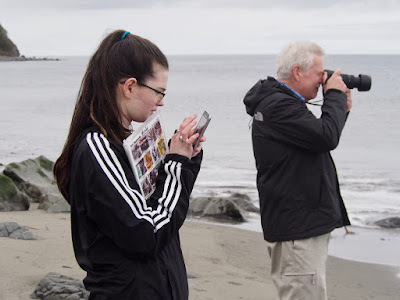 Citizen science is an empowering experience and an iNaturalist BioBlitz is an excellent activity for people of all ages. It is an appealing excuse to look closer at the natural life around us and can hold the attention of folks who are socially and/or technologically oriented. Now that Fort Worden is a designated place on iNaturalist, we can continue to add to the species guide we began on Citizen Science Day. So, it’s not too late to create an account and get out there and make some observations yourself! Thanks for the report, Lily, and for planning and organizing everything so well. It was a really special day! We all found many unexpected marine invertebrates, including those Velella velella (By-the-wind Sailors).